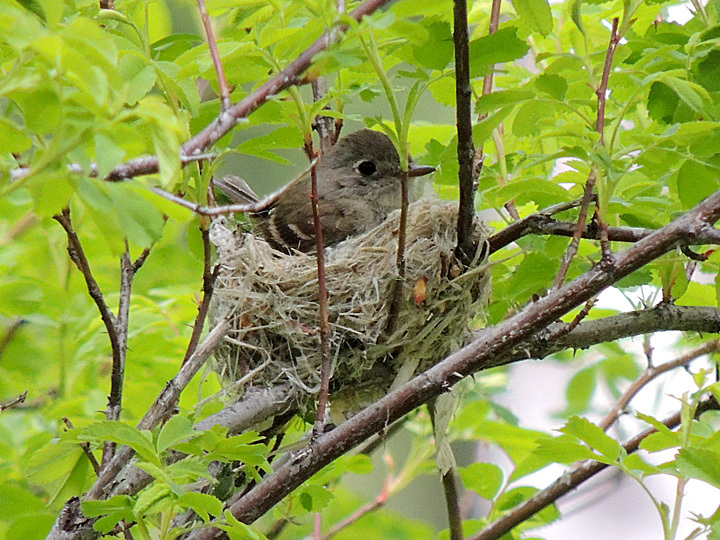 Dusky Flycatcher on its nest in an aspen grove along the Bethel Ridge Road, Yakima County, WA. May 31, 2014. Nikon Coolpix P510.